Congratulations to Francis Roble Jr. of Ormoc City! 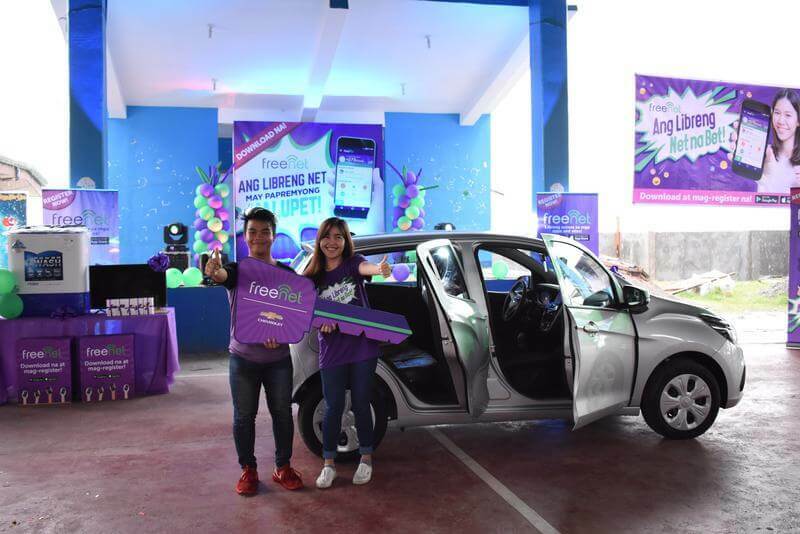 Voyager Innovations announced the grand prize winner of their Freenet's Papremyong Malupet Promo. The 22-year-old BS Electrical Engineering student won a Chevrolet Spark. Not just the car, but also they gave away five smartphones, a flat-screen TV and a washing machine for those lucky audiences that have witnessed this amazing event. The ceremony was held at the covered court of Barangay Can-adieng located in the City of Ormoc, at the province of Leyte last April 8. A Barangay Dance Challenge has been participated by five dance groups, as part of the show. They're from the different barangays within the city. Cash prizes have been given away to those winners. To recall, the Freenet's Papremyong Malupet Promo ran from October 27, 2017, to February 12, 2018. Prizes include the aforesaid Chevrolet Spark, 2 units of MacBook Air and 12 units of iPhone 7.